Trash baskets and bar screens are mechanical filters which remove large solids from storm and wastewater, and are typically the first or preliminary level of filtration. 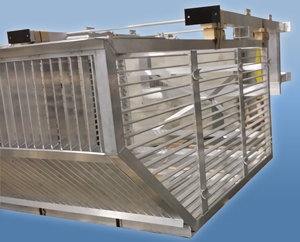 MSU manufactures trash baskets and bar screens to suit a variety of inlet sewer diameters and depths. MSU has standard designs and can also fabricate to your specific application.